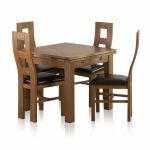 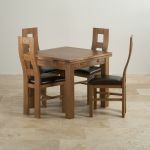 The 3ft x 3ft Rustic Oak Extending Dining Table is crafted from premium grade oak throughout. 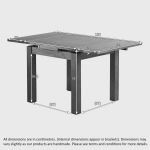 The dining table can easily accommodate up to six people and is built with both comfort and practicality in mind with a refined retractable leaf extension. 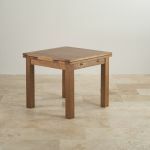 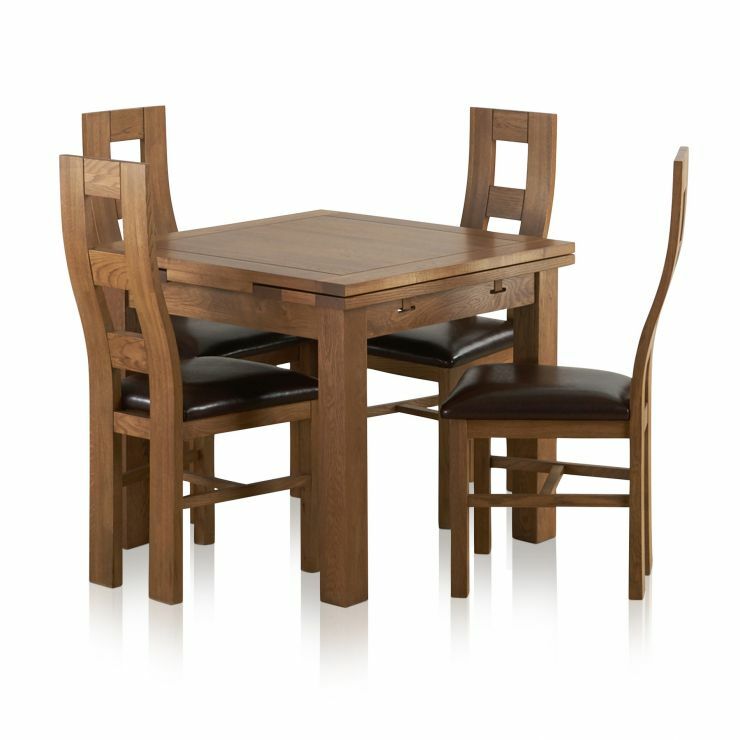 Noticeably the table has a distinct darker oak finish unique to the Rustic Range. 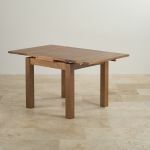 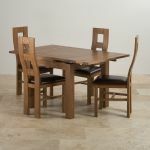 The table also comes with four elegant wave back rustic oak and brown leather chairs. 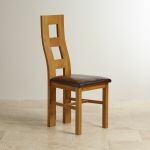 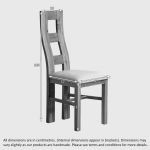 Each chair is constructed with premium grade oak legs and is the perfect complement to the table.